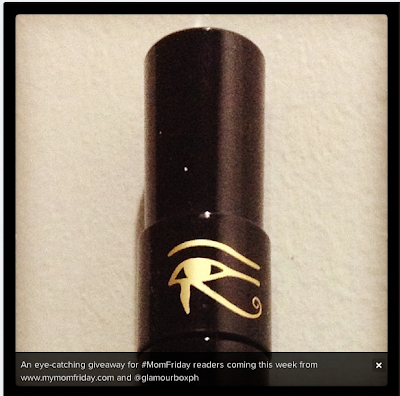 My Mom-Friday: Eye of Horus + Raffle! Eye of Horus + Raffle! An eye-catching giveaway for Mom-Friday readers... from GlamourBox! That's my teaser post on Instagram for today's blog giveaway. For some of you, you might already guessed it with that eye logo up there. I never imagined I'd have a beauty-themed giveaway since I am not a make-up junkie at all, and I seldom blog about beauty stuff. But if I do, you know I really use and approve of them. One such product is Eye Of Horus natural mascara. 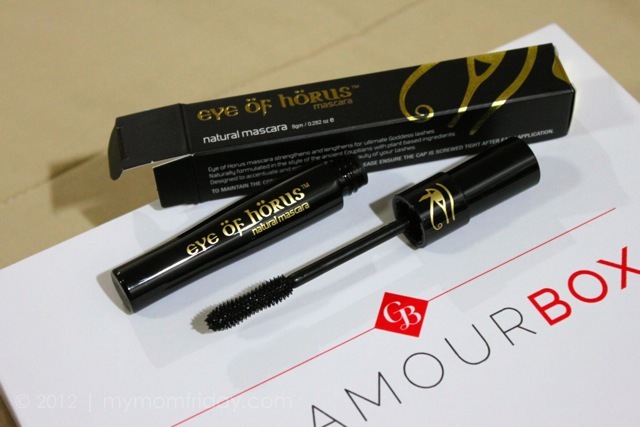 You see, last year, I received the November samplers from GlamourBox and one of the items included is this full tube of Eye of Horus natural mascara. Anyway, I got to try this mascara and really liked it, so it ended up being part of My 3 Things feature. Eye of Horus natural mascara - perfect natural mascara that won’t run, smudge or clump, formulated in the style of the ancient Egyptians with nourishing waxes. Thanks to GlamourBox for choosing me to host this giveaway. Two (2) lucky My Mom-Friday readers can now experience this natural mascara Australia just by joining this quick and simple raffle! Submit your entries and follow the steps via Rafflecopter below. Earn bonus entries if you do the extra steps by sharing on Twitter and Facebook. Raffle will close on March 22. Two (2) winners will be announced the following week and will be notified thru email. All My Mom-Friday readers with a valid Philippine address are eligible to join. GlamourBox will deliver the prizes to the 2 winners. This is my first raffle for 2013, and my very first beauty product giveaway...ever!